In addition all Sundays are public holidays as well. Each year the Prefecture of the Pontifical Household releases a list of closed public holidays. Since the 2009 publication the feasts of the Ascension of Christ and Corpus Christi are not listed anymore. 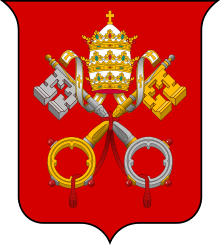 By tradition the anniversary of the election and the name day of the civilian name of the reigning pope are observed as a public holiday in Vatican City. 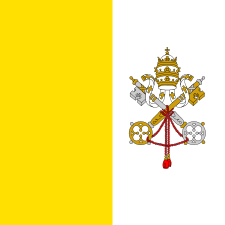 ↑ "Bank and public holidays for Vatican City". Retrieved 2013-01-29. ↑ "Vatican 2013 Public Holidays announced". March 21, 2012. Retrieved January 29, 2013. ↑ "Vatican Annual Public Holidays Amended". Q++Studio - The Professional Source of World Public Holidays. April 7, 2013. Retrieved December 20, 2014.